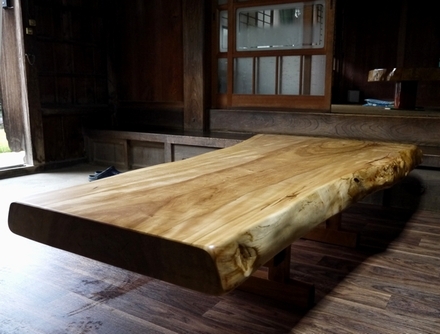 We made a delivery of Japanese horse chestnut table top. Its a wood slab of 9.5cm thickness. The surface seems to give off a white glow. 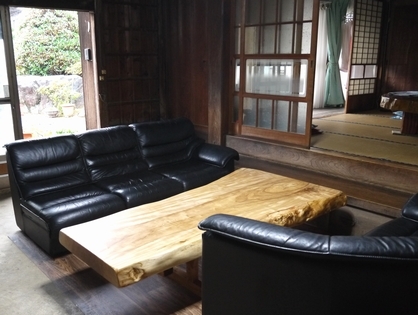 The room is renovated from ”doma”. Its celling is high and has a large door facing a garden surrounded by 3 walls of the house. It was a very spacious room. 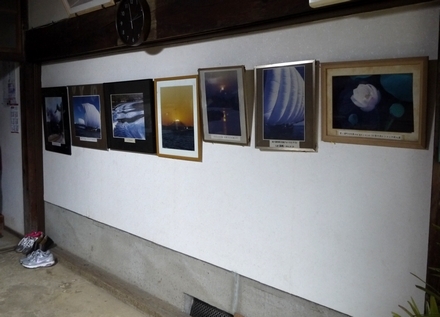 There were pictures of Kasumigaura lake which was taken by their relative which make the room like a little art gallery.